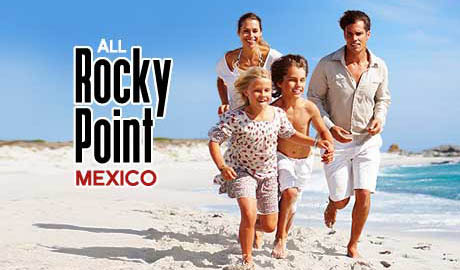 Traveling to Rocky Point Mexico is an easy trip from Phoenix, Tucson or Southern California. 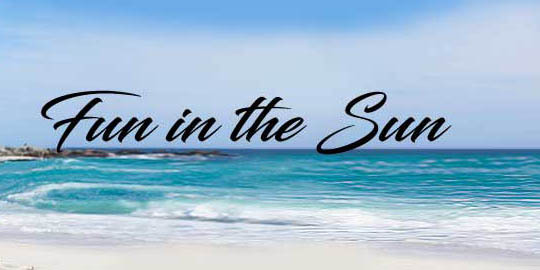 Be sure to consider Mexico Car Insurance before you go. The border is closed from midnight till 6:00 am so plan to arrive at the border while it is open. Plan extra time for crossing the border back into Arizona on busy weekends as there may be delays. Often the best times to return is Tuesdays, Wednesdays or Thursdays - mid morning to mid-afternoon. Same timeframes on Mondays would be second choice. Carry plenty of water as you will go through several areas with no services for some distance. Overall the roads are good and traffic is generally light. Travel instructions are given in steps. Once you reach Puerto Peñasco, these Rocky Point Mexico maps will provide a general layout of the town and surrounding area. Follow I-10 West to Hwy 85 in the Buckeye Area. After you pass through Gila Bend to the Mc Donald 's on the right. (or) Riggs Road from I-10 west to Maricopa Road. (or) Queen Creek Road from I-10 west to Maricopa Road. Proceed south on Maricopa Road #347 to Hwy 238 at mile marker 175. Proceed west on Hwy 238 through the town of Gila Bend. Exit at Hwy 85 South. Follow I-10 West to I-8 West. Proceed west on I-8 to Gila Bend. Proceed east on I-8 to Gila Bend. Proceed south on HWY 85 through Ajo and Why to the border at Lukeville. Cross the border into Sonoyta. Follow I-10 to I-19 South. Proceed south on HWY 85 through Why to the border at Lukeville. Proceed slowly through Sonoyta to the first stop sign. Turn left at this intersection for 1/4 mile to Mexico HWY 8. Turn right on HWY 8 marked by signs "PTO Peñasco"
Proceed through town traveling south on HWY 8. HWY 8 takes you directly into Puerto Peñasco, Rocky Point. In Rocky Point Mexico (No time like the present...you're here!). The fish markets, shopping and the shrimp boats marina are straight ahead. New planned developments are several miles to your right. JJ's and Cholla Bay are several additional miles to your right. Las Conchas is to your left along the beach. Playa Encanto is also left along the beach, well past Las Conchas. Shuttle Service To Puerto Peñasco, Mexico. Head Out Shuttle Service (602 971-0166) and Lloyd's Rocky Point Shuttle Service (623 551-1616) provide travel to and from Rocky Point. Travel Directions To Rocky Point, Mexico.